This month kicks off fall marathon training. I am going full out with a month of total fitness before tapering off cardio and adding miles. I am following my own advice for achieving goals by posting my June calendar. Step 1 to achieving your goal – put it in writing. 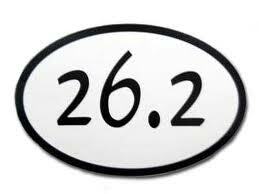 Are you running a marathon or a 1/2 marathon this fall? Let me know if your interested in sharing training tips.